We all know Facebook is the place social media advertising dollars are spent. In fact, 90% of B2C brands say Facebook ads are a regular part of their paid social media strategy, with 57% planning to increase their use of Facebook ads in the near future. Facebook themselves recently announced that over five million companies worldwide now advertise on their social platform. That's a lot of marketing noise to try to cut through, especially when you consider that your brand isn't just up against those five million other companies, your ads are also competing against the organic posts in people's Facebook feeds - and those organic posts that have the edge. Last year, Facebook reported that user-generated content (UGC) featuring a brand drove 6.9x higher engagement than brand-generated content. That's right, those carefully crafted Facebook ads you've been spending lots of time and money creating are being outperformed by freely created content by other Facebook users. How can that be? One word: credibility. No one wants to click on a stock image when their social feed is full of more interesting and authentic content. People have always considered word-of-mouth recommendations the most credible source of advertising, and now social media networks, like Facebook, have amplified its reach and influence. In fact, 92% of consumers trust earned media more than owned media and 81% of consumers have said their purchasing decisions have been influenced by social media posts. 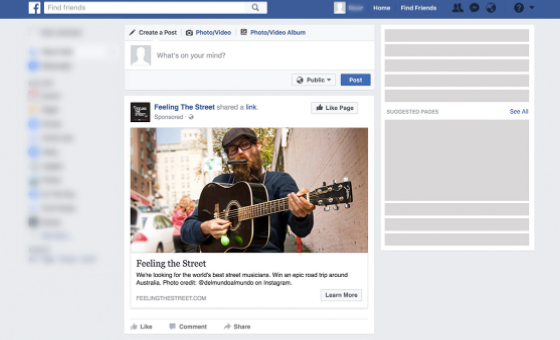 The consumers you're trying to reach on Facebook already view user-generated content as genuine and engaging. Instead of fighting this consumer trend, it's time to embrace it. Toyota has embraced UGC, using it to power Facebook ads for their annual "Feeling the Street" campaign. Over six weeks, the campaign displayed the best UGC fans were sharing on Instagram, and received over 1.2 million collective likes, comments and shares. Without raising their budget from previous years, they achieved a 440% increase year over year ad engagement. By identifying and showcasing the most compelling UGC in your Facebook ads, you can improve not only engagement, but also relevance. Anyone who's run Facebook ads knows that the more relevant your ads are, the better they're likely to perform, and the less they'll end up costing you. 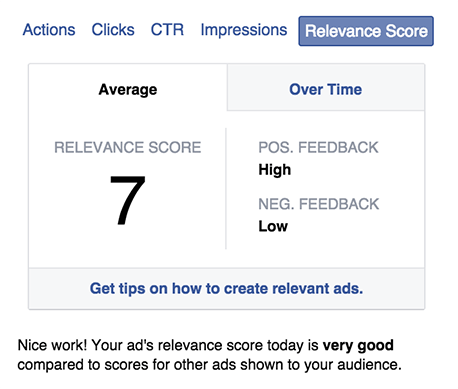 Facebook wants to only show people ads that are pertinent to them, so every ad gets a "Relevance Score" on a scale of 1-10. This score is based on the mix of positive and negative feedback your ad's expected to receive, and is updated as people interact with your ad. The lower the score, the more it'll to cost you to generate significant reach. Since Facebook prioritizes relevant content, the higher your relevance score, the less it will cost you to deliver your ad to its intended audience. If you have a low relevance score, you'll be forced to increase your bid to compensate for your lack of relevance. Because user-generated content has proven to be more relevant and trusted in the eyes of consumers, highlighting it in your ads can improve the ROI of your efforts. Crown Resorts has taken this relevance-driven approach to their Facebook ads, identifying the best visual content created by customers, getting fast permission to use it and instantly promoting it across their Facebook ads. The result? Crown Resorts' Facebook ads received 40% more impressions at 21% lower cost-per impression (CPM), with a 25% increase in positive sentiment and 61% lower cost-per "Like." Not too shabby. The moral of the story is, if your ad content isn't credible or relevant then your advertising dollars aren't reaching their full potential. User-generated content is one of the most authentic, cost-effective and impactful way for consumer brands of all sizes to boost the performance of their ads on Facebook.